After the establishment of the language border, a special language regime has been introduced for certain municipalities. The residents of these municipalities with facilities located in the French or Dutch language area can communicate with the municipal administration in another language, Dutch or French respectively. However, this arrangement has led to numerous discussions between the Dutch- and French-speaking communities. The Flemish government has tried to end this conflict with the Peeters Directive. The directive determines that French-speaking residents of the Flemish municipalities with facilities have to reapply every single time to communicate in French. The French-speaking community was not amused and questioned this interpretation of the language legislation before (a Dutch-speaking chamber of) the Council of State. However, the Council affirmed the primary status of the Dutch language in these municipalities. Some mayors, nevertheless, refused to adopt this interpretation. In turn, the Flemish government refused to appoint these mayors. Supported by their municipal council, these ‘rebellious mayors’ were nominated repeatedly after every refusal of appointment by the Flemish government An appointment carousel was born and the sixth state reform has – hitherto in vain – tried to stop it. It was obvious that legislative action was necessary to restore institutional peace. This issue was therefore an important part of the negotiations of the sixth state reform. A new appointment procedure for the mayors of the municipalities with facilities in the Brussels periphery (Vlaamse Rand) was created, in order to stop the carousel. Moreover, from now on, the bilingual General Assembly of the Council of State was granted competence to rule on potential discussions. First, the municipal council has to nominate a candidate-mayor. The nominated person is called the ‘designated mayor’ and has all the powers of a regular mayor. Then, it is up to the Flemish government to decide whether or not it appoints the nominee. The designated mayor whose appointment has been refused can challenge that decision before the General Assembly of the Council of State. The Council has two options: confirm or annul the decision of the Flemish government. If the Council annuls the refusal, the designated mayor will be appointed definitively. However, if the Council confirms the refusal, the appointment of the designated mayor will be refused definitively. The municipal council will then have to vote on a new nomination. It thus looks like the final word rests with the Council of State, but looks can be deceiving. The new procedure merely determines in art. 13bis, §6 New Municipal Act that the municipal council has to vote on a new nomination, but not that it has to nominate another candidate. The municipal council could therefore nominate the same person as the designated mayor over and over again. 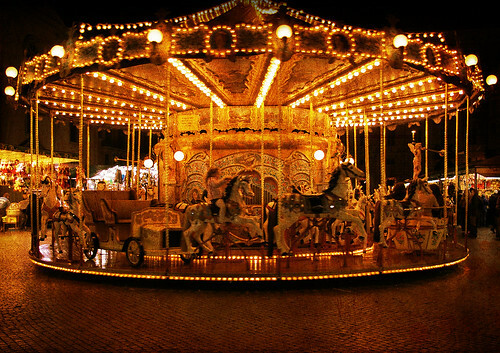 The Flemish legislator wanted to prevent this carousel and enacted art. 59, §1bis Municipal Decree which provides that “[a] nominated candidate-mayor who has not been appointed, cannot be nominated again in the same administrative period, unless on the basis of new facts or new information”. Although the Flemish legislator properly noted the lacuna in the new procedure, the risk still exists that the solution does not fully exclude another carousel. Strictly speaking, as long as new facts or new information are at hand, the municipal council could nominate the same person as candidate-mayor over and over again. Hence, the meaning of ‘new facts and new information’ is crucial, yet the decree does not provide any indication of how these wordings should be interpreted, not even in the parliamentary papers. The municipal elections of 2012 were to prove whether the new procedure could restore the institutional peace. In Linkebeek the municipal council nominated Damien Thiéry as designated mayor. The Flemish minister of Internal Affairs however, refused his appointment. Thiéry challenged the refusal before the Council of State. In a highly significant judgment the General Assembly of the Council of State first of all held that the residents of municipalities with facilities would have to reapply to communicate in French every four years only. Hence, the Council settled, in a rather activist manner, the discussion about the interpretation of the language legislation. Subsequently, the Council noted that the Flemish government had properly argued their lack of trust in Thiéry. Such consideration could indeed justify a refusal of appointment, and thus the refusal became definite. Next, the municipal council of Linkebeek had to vote on a new nomination. Again, Thiéry was nominated as candidate-mayor. The municipal council explained this decision by referring to two (presumably) new facts. Firstly, the aforementioned judgment of the Council of State had put an end to the controversy over the Peeters Directive. Secondly, Thiéry certified that he would respect this particular interpretation of the language legislation in the future. The Flemish minister of Internal Affairs held that it was not manifestly unreasonable to consider these two elements as being new facts, but invoked immediately the wide discretionary powers of the Flemish government. The minister argued that Thiéry still had no moral authority to [locally] represent the [central] governments, and based the decision for refusal on three separate grounds. First because Thiéry had joined the decision [of the municipal council] to send out convocations directly in French and thereby infringed the language legislation. Secondly because he had wrongfully used the municipal information gazette for purposes of party politics. Thirdly, because he had systematically refrained from reacting to the use of French during meetings of the municipal council. In other words, the new facts did not suffice to restore the breach of trust. Again, Thiéry turned to the Council of State. The Council of State found that the Flemish government argued that new facts were at hand which justified the nomination of Thiéry. The Council did not see any reason to contest such argument, thereby omitting the chance to define the concept of new facts or information. The Council of State further held that, although it is [indeed] required that the new facts are drawn into the assessment, the government may [also] disregard those facts as long as [the Government] indicates why the new facts cannot alter its point of view. According to the Council, the Flemish government had certainly done so. The Council did not find any reasons to question the lack of trust in respect of the Flemish government. As such, the second refusal of the Flemish government became definite. Again the ball was in the court of the municipal council of Linkebeek. On 2 February 2015 the municipal council nominated Thiéry as acting mayor. An official nomination however, has not yet been handed over to the Flemish government. Again the new procedure falls short. The Act merely determines that the nomination deed must be passed on to the Flemish government. No deadline or sanction was provided for in case the municipal council would omit to do so. And since the acting mayor [already] has all the power a regular mayor has, the municipal council retains a powerful means of delay. The sixth state reform has not achieved its goal to resolve this issue. The institutional conflict in Linkebeek lingers on and an old carousel has been replaced by a new one. As long as it is not clear what new facts or information are, the municipal council of Linkebeek will be able to nominate Damien Thiéry again. Moreover, the Flemish government has no means to force the municipal council to communicate the nomination. The winner of this status quo is Thiéry. In the meantime, he has all the powers of a regular mayor. 1) RvS, nr. 227.776, 20 juni 2014. 2) RvS, nr. 229.602, 18 december 2014. 3) C. Baekeland, B. Nelissen, “De randgemeenten en hun bijzondere regeling na de Zesde Staatshervorming: kicking the can down the road?” in A. Alen (ed. ), Het federale België na de Zesde Staatshervorming, Brugge, Die Keure, 2014, 255-276. The peripheral municipalities and their special regime after the Sixth State Reform; kicking the can down the road? 4) P. Cannoot, “Zesde staatshervorming heeft benoemingscarrousel niet tot stilstand gebracht”, De Juristenkrant, afl. 305, 4. Sixth state reform has not ended the carousel of appointments. 5) J. Velaers, “De splitsing van de kieskring BHV en de bijzondere regelingen voor de randgemeenten: de bevoegdheid van de algemene vergadering van de Raad van State, de benoeming van de burgemeesters en de stand still” in J. Velaers, J. Vanpraet, Y. Peeters, W. Vanderbruwaene (eds. ), De zesde staatshervorming: instellingen, bevoegdheden en middelen, Antwerpen, Intersentia, 2014, 151-201. The split of the voting district BHV and the special regimes for the peripheral municipalities: the competence of the general assembly of the Council of State, the appointment of the mayors and the stand still.